W W W . R E S O LV E B Y L O W E S . C O M QUALIFIED CONTRACTORS. DEDICATED SUPPORT. SATISFACTION GUARANTEED. 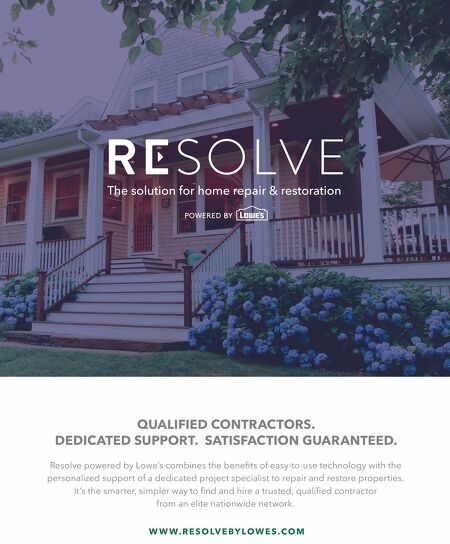 Resolve powered by Lowe's combines the benefits of easy-to-use technology with the personalized support of a dedicated project specialist to repair and restore properties. It's the smarter, simpler way to find and hire a trusted, qualified contractor from an elite nationwide network.